Two members of staff in shop. Asked the gentleman for help to find size seven boots for my daughter. It all started off great but then another customer came over and asked for a help. He left me without a word and began serving her. After a while and being fed up of waiting I went and returned the boots I had already bought, the other member of staff was on the phone, she said she had to go as she needed to serve, so assuming it was not a business call but a personal one. When I said how frustrated I was with the poor service I had been given she said well there are other customers and it is difficult if they all need help. My response was that the other customers should wait until a member of staff was available just like the other shops. She would not accept this! Extremely poor customer series, will not be returning. Staff training on customer services/relations required in this store!! 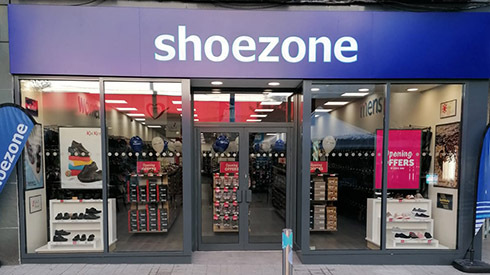 I was looking for a reasonable priced pair of trainers for my husband and found exactly what I needed also some inner soles to make them even more comfortable, the staff were pleasant and attentive, a nice shopping experience. I have always been very satisfied everytime I go to your store, the staff are always so friendly and can't do enough for you, if at anytime they don't have what I want I am always offered a goodalternative. I actually have never seen the young man who served me today but he was as good as the other staff in the shop, wish there were more staff in other shops as the one that you employ.